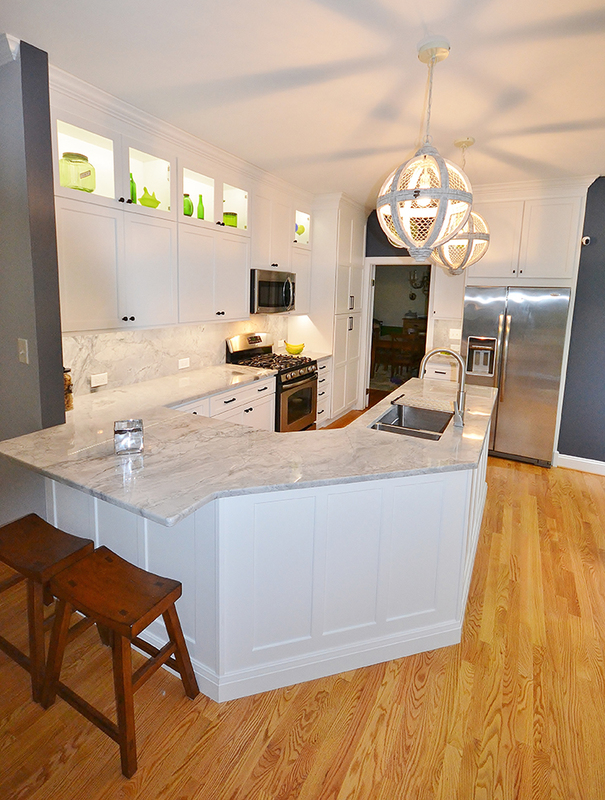 Westtown Kitchen remodel from top to bottom. 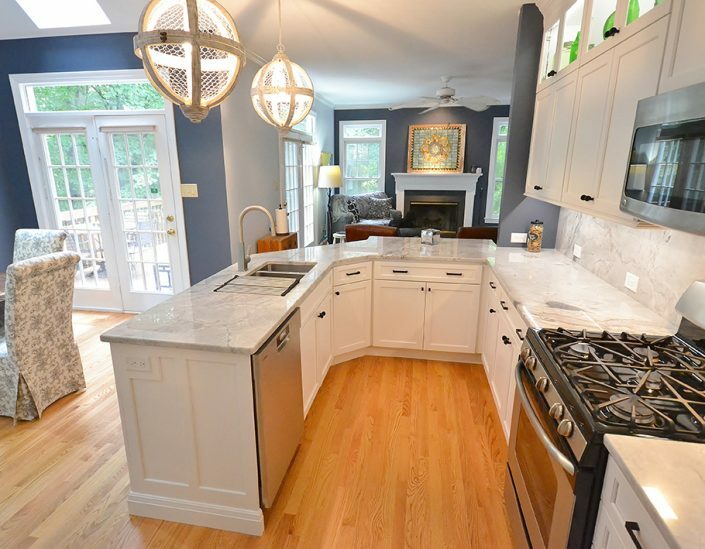 Chester County Kitchen and Bath remodeled this kitchen adding new hardwood flooring, new white Fieldstone Cabinetry in the Roseburg door style with tall stacked wall cabinets to a 9’ ceiling. 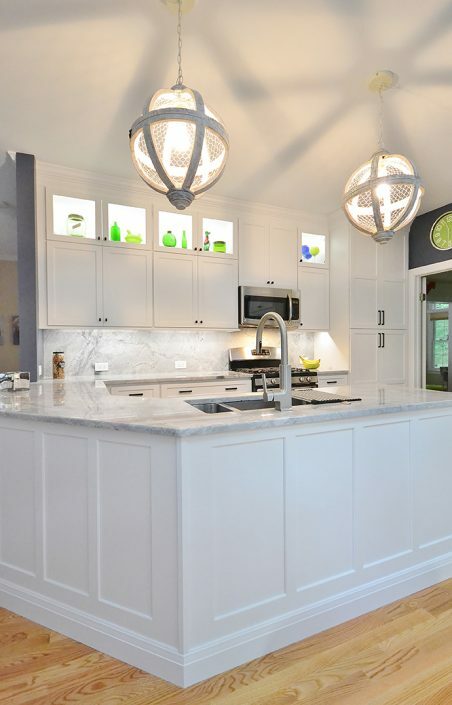 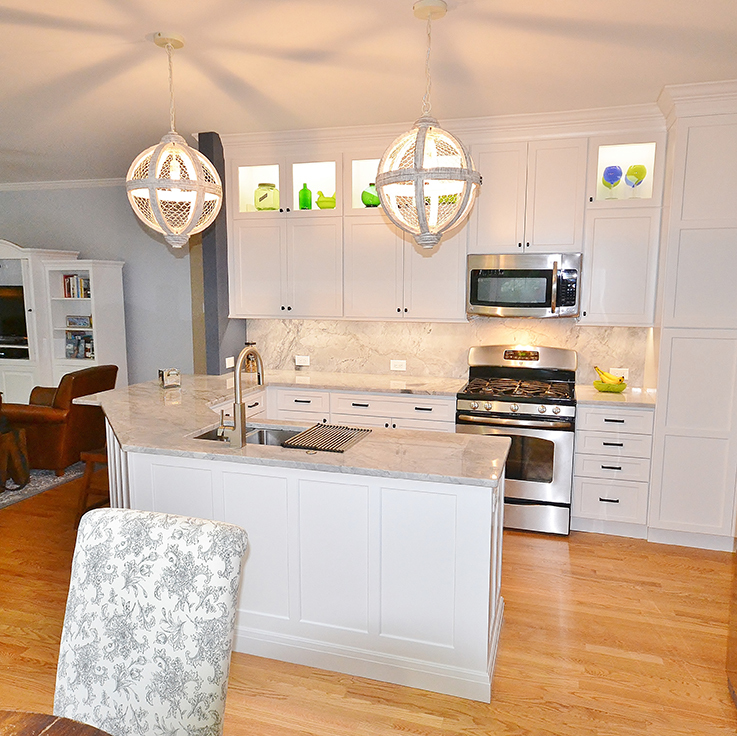 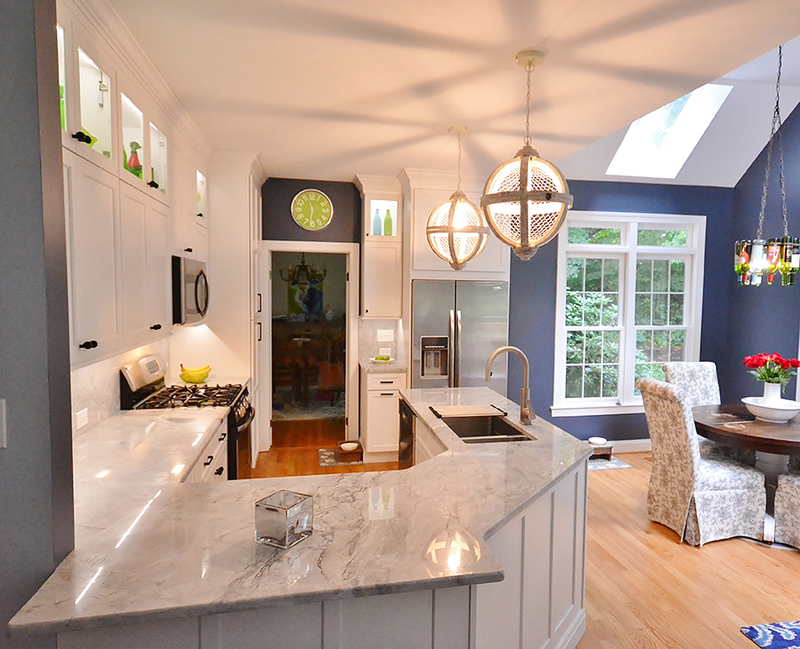 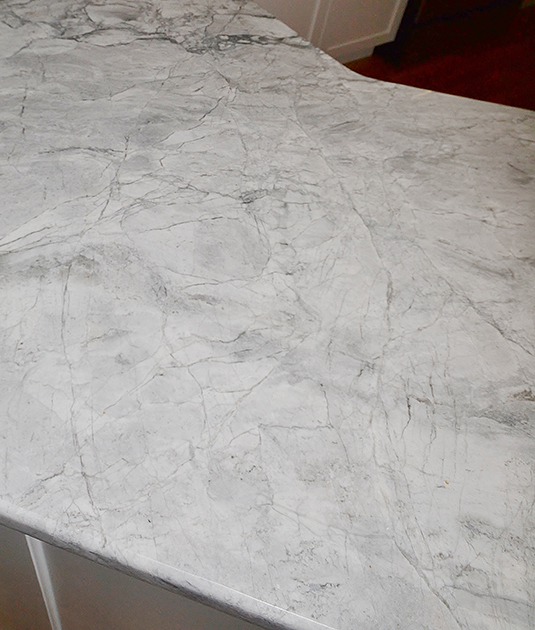 The Super White Granite for the countertops and backsplash makes a great statement. 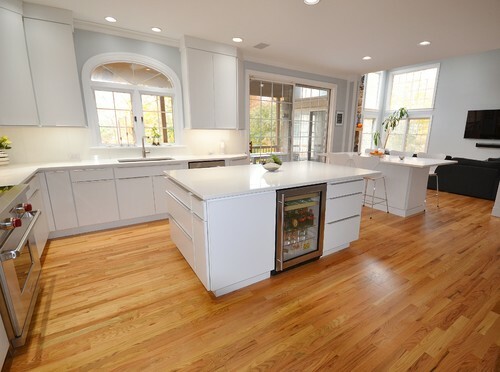 By only changing the original foot print of the kitchen slightly by adding full height cabinetry with lighted upper sections and new lighting throughout to make the space fresh and new.